U.S. Department of Homeland Security. WASHINGTON—Secretary of Homeland Security Jeh Johnson has extended Temporary Protected Status (TPS) for eligible nationals of El Salvador (and those without nationality who last habitually resided in El Salvador) for an additional 18 months, effective Sept. 10, 2016, through March 9, 2018. Current TPS El Salvador beneficiaries who want to extend their TPS must re-register during the 60-day re-registration period that runs from July 8, 2016, through Sept. 6, 2016. U.S. Citizenship and Immigration Services (USCIS) encourages beneficiaries to re-register as soon as possible once the 60-day re-registration period begins. The 18-month extension allows TPS re-registrants to apply for a new Employment Authorization Document (EAD). Those who re-register during the 60-day period and request a new EAD will receive one with an expiration date of March 9, 2018. USCIS recognizes that some re-registrants may not receive their new EAD until after their current work permits expire. Therefore, we are automatically extending current TPS El Salvador EADs with a Sept. 9, 2016 expiration date for six months. These existing EADs are now valid through March 9, 2017. Form I-821, Application for Temporary Protected Status (re-registrants do not need to pay the Form I-821 application fee);Form I-765, Application for Employment Authorization, regardless of whether they want an EAD;The Form I-765 application fee (or a fee waiver request) only if they want an EAD. 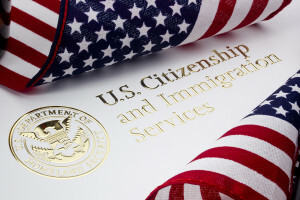 If the re-registrant does not want an EAD, no application fee is required; andThe biometric services fee (or a fee waiver request) if they are 14 years old or older.Additional information about TPS, including guidance on eligibility, the application process and where to file, is available at uscis.gov. The Federal Register notice published today contains further details about this TPS extension for El Salvador. USCIS will reject the application of any applicant who fails to submit the required filing fee or a properly documented fee-waiver request. Applicants may request that USCIS waive any fees based on an inability to pay by filing Form I-912, Request for Fee Waiver, or by submitting a written request. Fee-waiver requests must be accompanied by supporting documentation. All USCIS forms are available for free. Download forms or order them by mail through the USCIS website at uscis.gov/forms or by calling USCIS Forms Request Line toll-free at 1-800-870-3676.